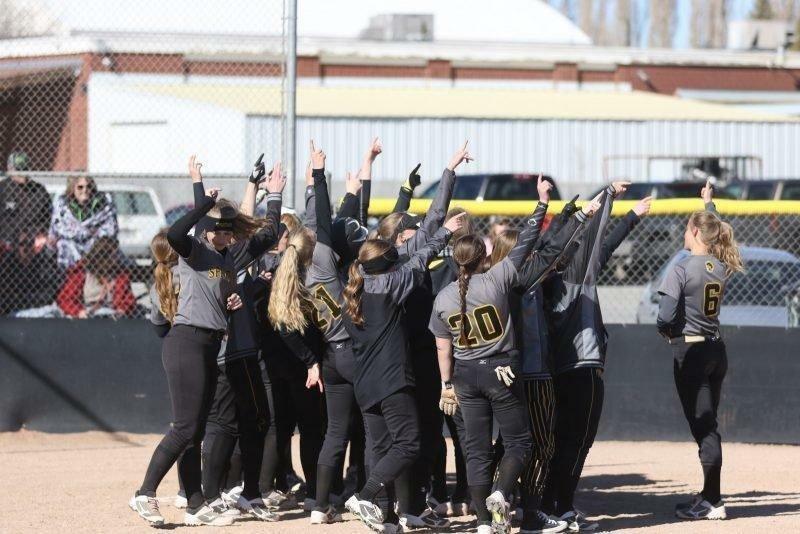 Down 9-2 going into the bottom of the seventh, the Emery Lady Spartans tallied five runs to cut the lead to two before San Juan shut the door for another Region 15 win. Bailey Huggard, AdriAnne Childs and Megan Dawes got hits in the seventh to try to help their team to the win. The trio combined for a whopping nine hits, going 9-11 with five RBIs. Emery took the loss despite out-hitting San Juan 16-13 in the game. The Lady Spartans fell down early, 3-0, on a San Juan home run in the first inning. The Broncos added three more combined in the fourth and fifth innings before Emery scored its first runs in the sixth, adding two runs. Huggard took the loss in the circle after allowing five earned runs and 13 hits. Emery (6-6, 2-3 Region 15) will next take part in a tournament in Payson on Saturday.